Delighted to be identified as a best-in-class Irish business with our Business All-Star Accreditation. 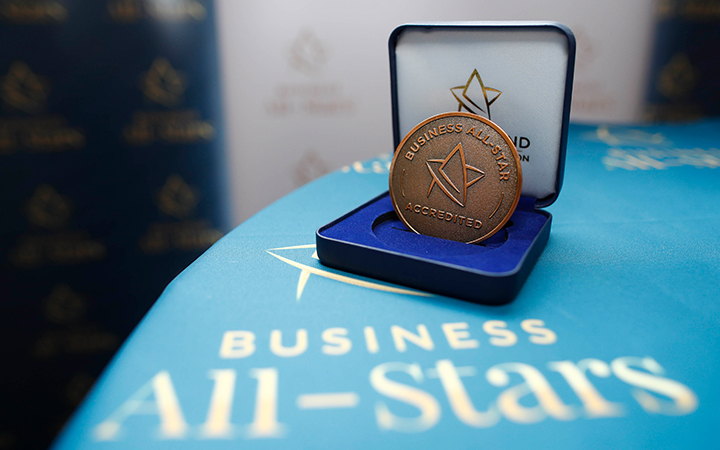 The All-Ireland Business Foundation is the national body responsible for identifying & accrediting best-in-class Irish businesses as ‘Business All-Stars’ An honour roll of companies and leaders with a proven commitment to the highest standards of performance, trust and customer centricity. There are 5 stages to the rigorous selection criteria. Each business is evaluated on background, trustworthiness and performance over a number of different interviews. The panel score on every part of the process against set metrics. They speak to customers, employees and vendors and also anonymously approach the company as a customer and report back on the experience, resulting in an independently verified standard mark for businesses. “It’s a great feeling to be validated by a panel of industry experts and to have every aspect of the business scrutinised, we’re chuffed to receive such high scores for what we do every day. We strongly believe putting customers at the very centre of the business. We want them to enjoy the ForeGolf custom fitting experience and we take great pride that the clubs built in our WorkShop lowers handicaps and makes better golfers. Dave, Don, Christine, Jill and myself are very proud of what we have achieved both in business and in the world of golf, but we couldn’t have done it without the enthusiasm and support of our fantastic customers, who help us to push the business onwards and upwards”. The All Stars competition is designed to identify, recognise and accredit Irish entrepreneurs, that have distinguished themselves in the conduct of their business. Thank you to all our customers for your support !